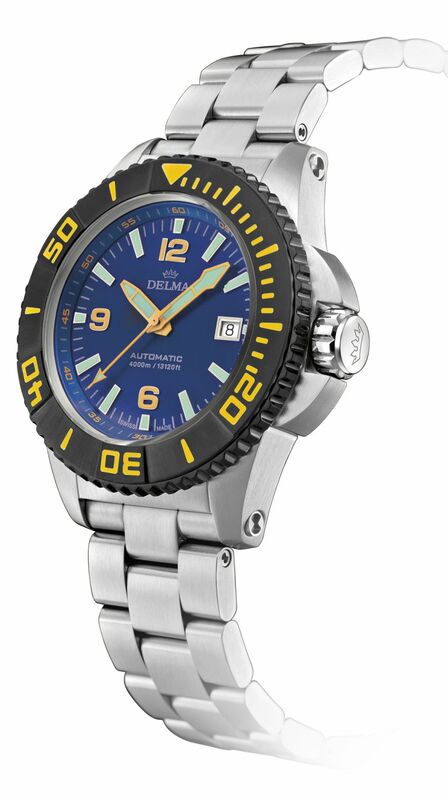 To celebrate its 95th year and 50 years of marine watches, Delma will release at Baselworld the third generation of the Blue Shark, an ultra-resistant divers' watch which can reach the depths of up to 4,000m. 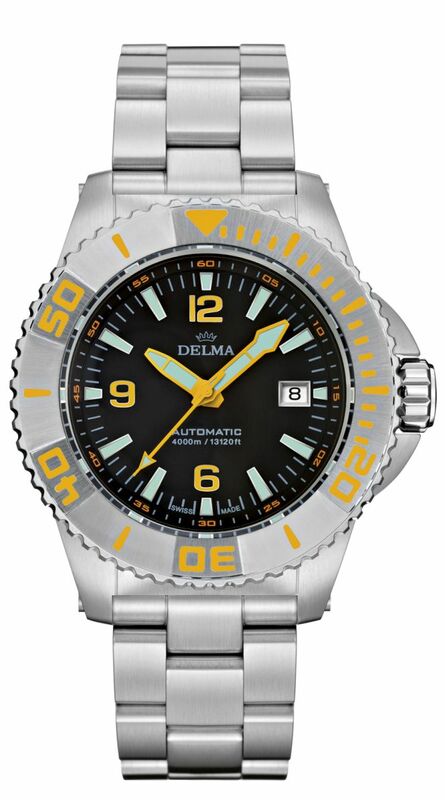 The case, in stainless steel, measures 47mm x 18.5mm. 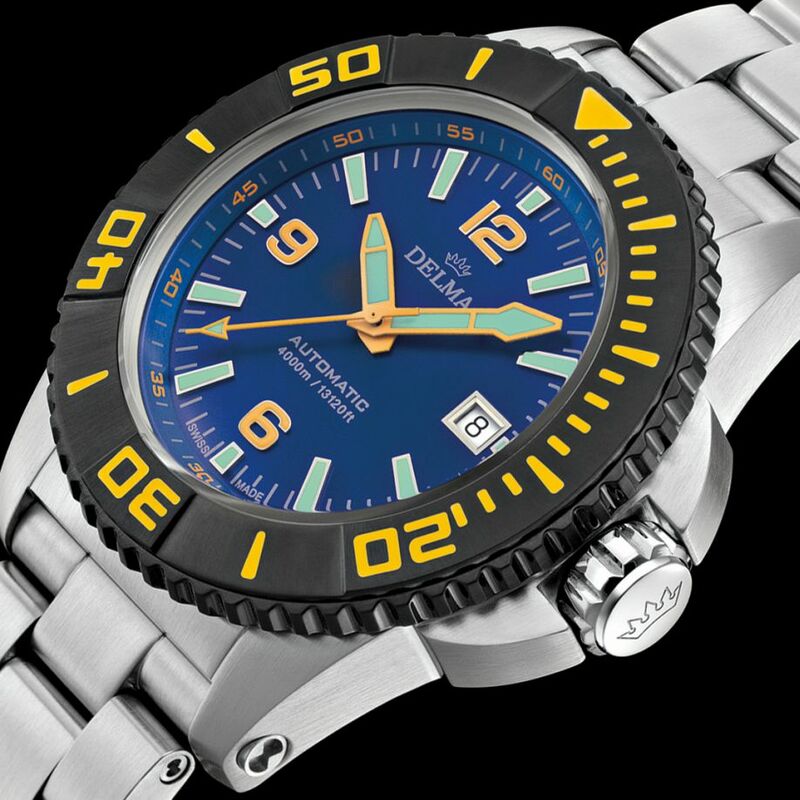 It has an AR-coated sapphire crystal, a steel or a DLC-coated bezel, an engraved caseback, and it is water resistant to 4,000 meters. It is equipped with a helium-release valve. Movement is the Swiss automatic ETA caliber 2824-2 with 25 jewels, 28,800 vph and a power reserve of 38 hours. Gilded engraved rotor. It has a blue, orange or black dial with contrasting luminous hands, Arabics, and markers. 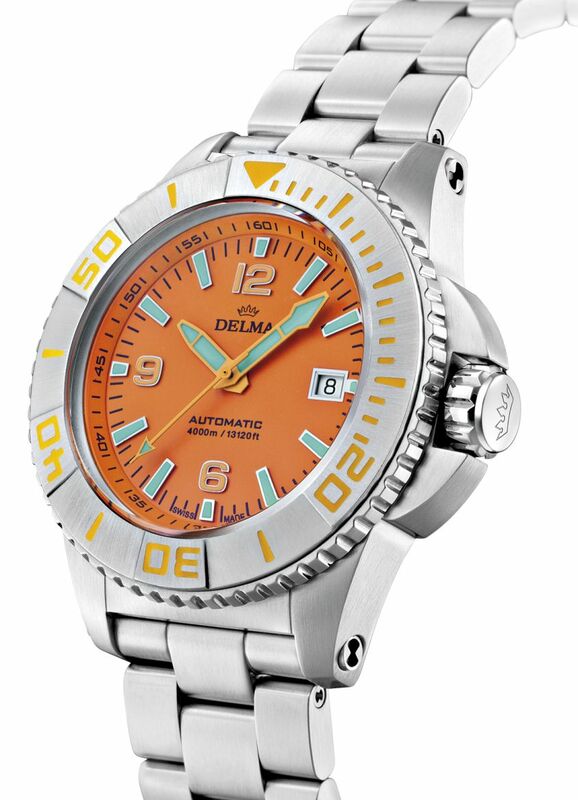 It comes on a steel bracelet and with an additional rubber strap with steel buckle. 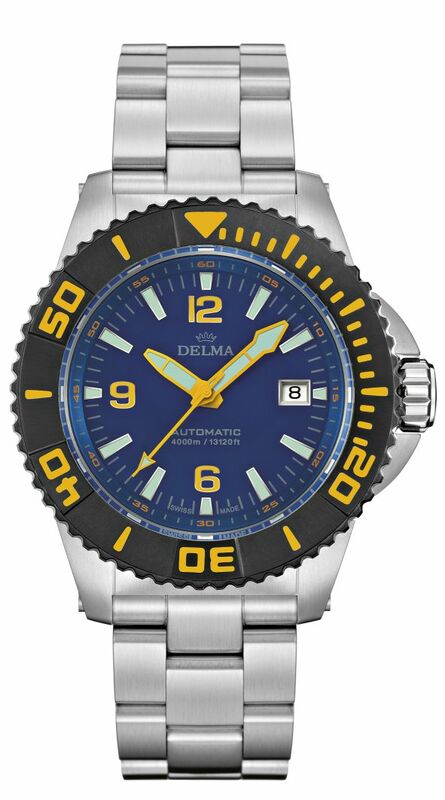 MSRP is 1,990 to 2,090 Swiss Francs. It is delivered in a wooden box with bespoke tools for changing straps. Next Topic: N E W M o d e l - Breitling Premier B01 Bentley Centenary L.E.